Best Trail Cameras 2019 - Which is the Best to Buy? A Trail Camera is a device that records images either as a still photograph or a video. It is a rugged and weatherproof camera designed for extended unmanned use outdoors. The images it produces are used for game surveillance by hunters. Some Trail Cameras take pictures, some shoot videos, some are capable of doing both and some are even capable of doing both at the same time. So if you’re looking for Trail Camera we can help you with some of the Best Trail Cameras 2019 that are available in the market. 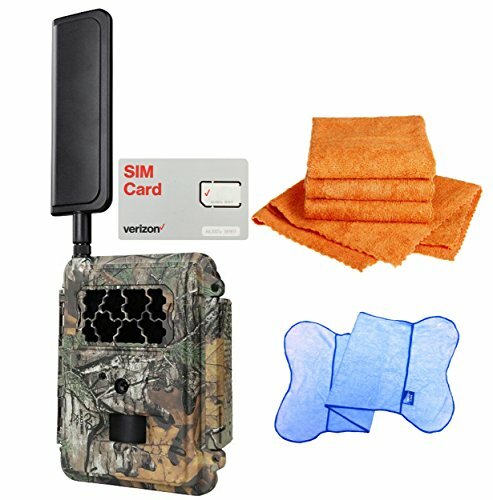 In at first place among the list of Best Trail Cameras we have the Lixada Wireless 3G Trail Camera. It can feature MMS, SMTP, FTP functions and can send full-size image video to a preset email account automatically without a command. It captures 12 megapixels crisp brightly colored photos in the daytime and 1080p video with sound. Also, it has adjustable resolutions that are available for both still images and videos. Besides, it has the unique PIR sensor that offers a 100-degree detection angle. An impressive fast trigger speed of 0.2 to 0.8 seconds and you’re guaranteed to never miss any of the breathtaking moments by a multi-shot feature, which can take up to three pictures each time. 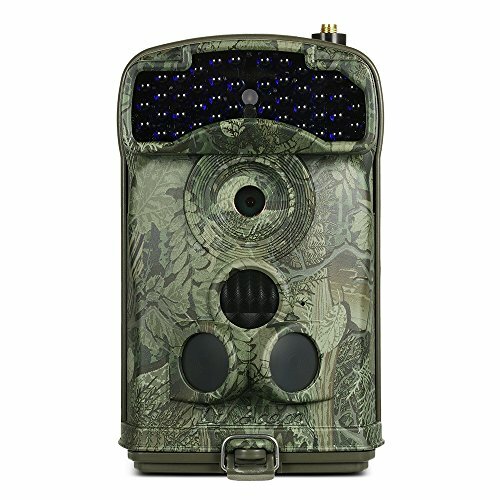 It provides a built-in 44 pieces 940nm infrared black LEDs, which provide up to 59-feet nighttime vision, which makes this camera a stealthy unit that does not intrude into the natural habitat. With WCDMA 3.5g wireless module it offers quick upload speed up to 5.76Mb/s. The Spartan HD GoCam 4G LTE features the most advanced wireless cellular camera technology available on the market. It can be programmed to send your motion triggered or time-lapse images, which are sent as emails or cell phone MMS messages. It has a standalone installation, which requires no wires and no external power source. Also, it is powered by 4 to 12 Alkaline NiMH or lithium AA batteries. Besides, the discrete camouflage exterior helps it to blend into its rustic surroundings and has a complete water-resistant seal, which enables it to withstand weather conditions such as rain and snow. Moreover, it features an under 1-sec trigger speed and the infrared flash provides invisible illumination up to 60 feet for crisp clear night shots. Another advantage is that the motion or scheduled event control helps determine battery power consumption. The pictures can be transmitted with or without AES-256 encryption for added security use encryption to transfer your images. 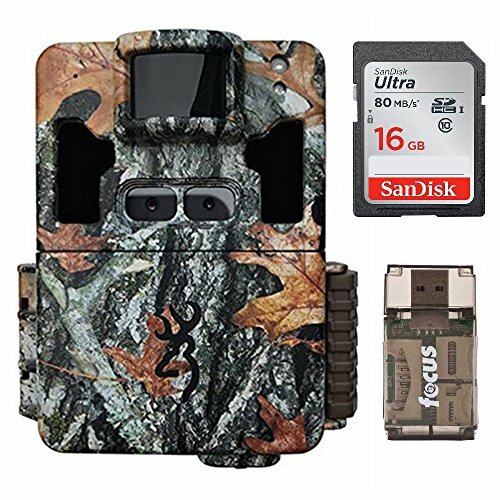 The AKASO Trail Camera12-megapixel trail camera captures 12-megapixel crystal-clear photos and 1080p video with sound during the day and night. Multi-shot modes are available and three pictures per detection. With automatic infrared sensor, it can capture the motion of wildlife more clearly at night by 24 infrared LEDs. It offers both trigger distance and infrared detection range both up to 20 meters 65 feet. 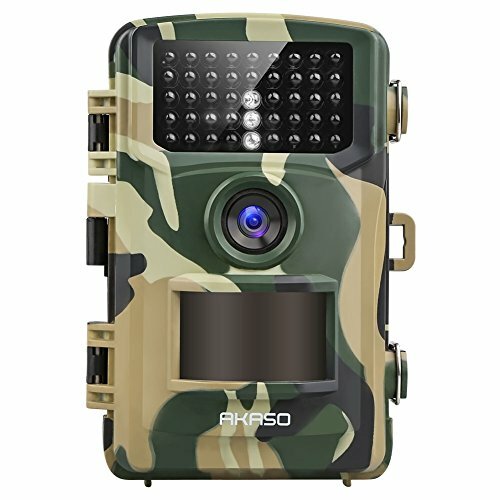 Also, it comes with ip66 waterproof and this wildlife camera is housed in the weatherproof case for the different working environment. It offers a trigger 0.5 second, which captures motion quickly and accurately. Moreover, 4 AA-batteries are required to install up to 8 batteries can extend its use time to 6 months. MicroSD card 32-gigabyte class 10 recommended. Another advantage is that with wide angle 120°C and 65-foot distance range. It detects more wildlife animals within a larger area. The Browning Dark Ops Pro XD Trail Camera has the most robust feature set in our dark ops camera series. It comes with an invisible infrared flash to ensure game or trespassers on your property do not detect the camera while it is capturing images or videos. Also, it features dual camera lens technology, which incorporates a custom tuned daytime camera lens to produce razor-sharp daytime images. While the dedicated night camera lens takes incredibly clear nighttime photos. Besides, it packs all the performance you would expect with 24-megapixel picture quality, 1080p full HD video with sound, lightning fast 0.15-second trigger speeds and superior battery life. Additional features include SD card management options and smart IR video to keep recording game during the daytime and it is compatible with up to 512GB SD cards. Moreover, it has an adjustable metal back bracket that swivels up and down and the bracket allows for easy up-and-down adjustments without needing to use twigs and limbs for shims.